NASA has changed its mind about how long it will continue to seek contact with an aging robotic vehicle that was blanketed in a dust storm on Mars back in June and has been stalled ever since. Now, the space agency plans to keep trying, rather than abandon efforts some time this month, as officials had said in late August. "After a review of the progress of the listening campaign, NASA will continue its current strategy for attempting to make contact with the Opportunity rover for the foreseeable future," said a statement posted on NASA's website late Monday. "Winds could increase in the next few months at Opportunity's location on Mars, resulting in dust being blown off the rover's solar panels. The agency will reassess the situation in the January 2019 time frame." Engineers hope the solar-powered rover will someday get enough sunlight to automatically kickstart its own recovery procedures. Its last contact with Earth was June 10. Opportunity and its twin rover, Spirit, are a pair of unmanned robotic vehicles designed by NASA to move short distances on the Martian surface and transmit data about conditions there back to Earth. 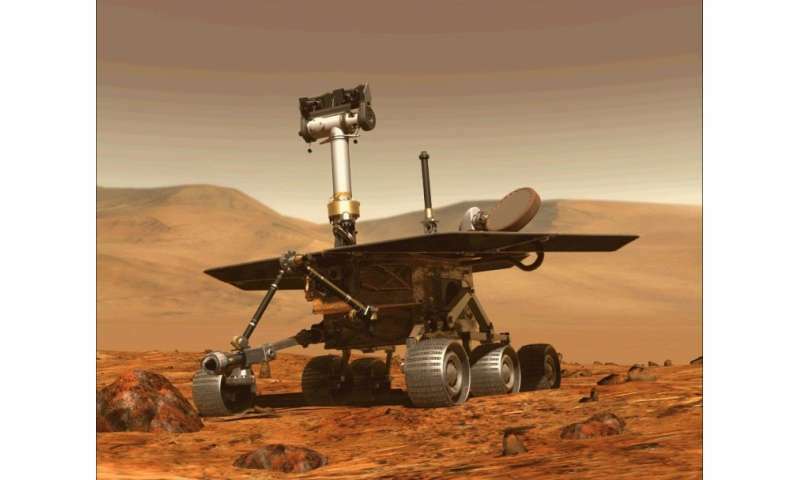 Fans of the rover mounted a Twitter campaign under the hash tag #SaveOppy, calling for NASA to keep trying to reach it.